I can’t remember the day I switched from peanut butter to almond butter. I think I read an article in a magazine that “Almond butter is the new peanut butter” and I was lured in by the images of apples with big globs of almond butter on top. I’ve never really looked back, although I do have peanut butter every once in a while. Typically, thai wraps use a spicy peanut sauce, but, since I prefer almond (and I hope you do too! ), I’ve created a thai almond butter sauce instead. 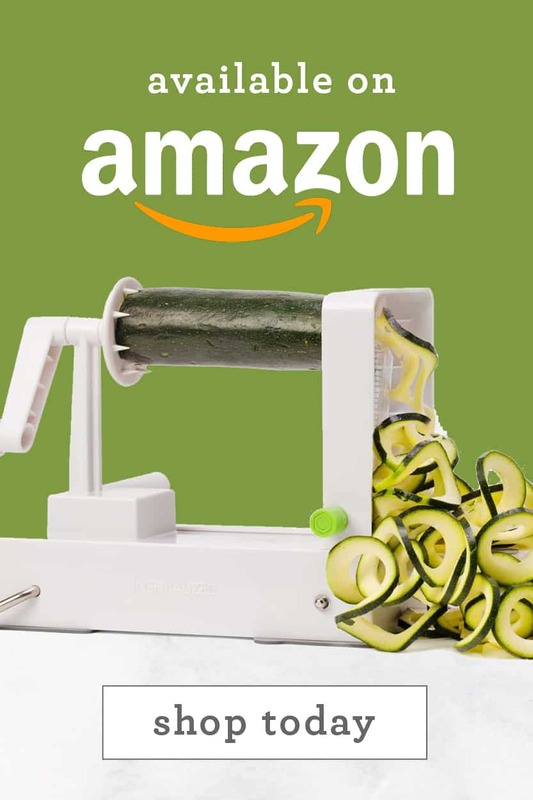 You’re going to love it. This recipe is easy, no cooking required and comes together in less than 20 minutes. It’s a great option to bring to work for lunch – just wrap tightly in tinfoil or paper and keep secure. It travels very well – and the almond sauce lasts at least 5 days in the refrigerator. 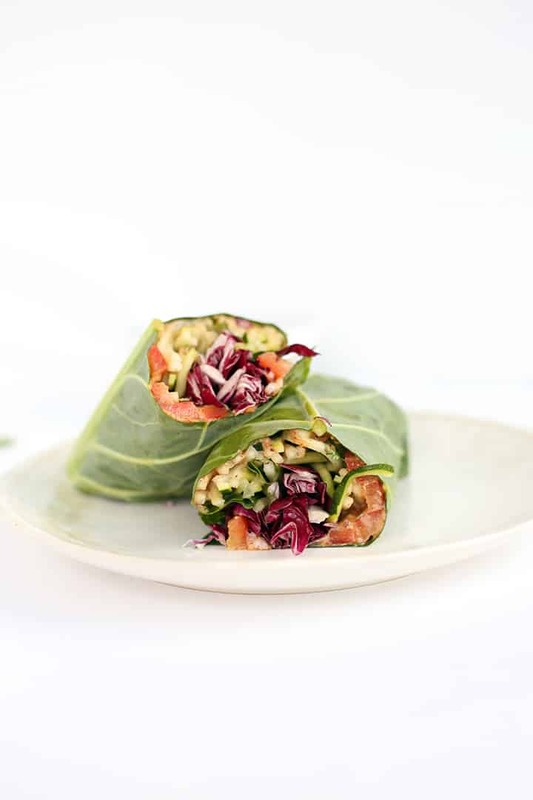 I love my collard wraps, as you all know – I post them frequently on Instagram. 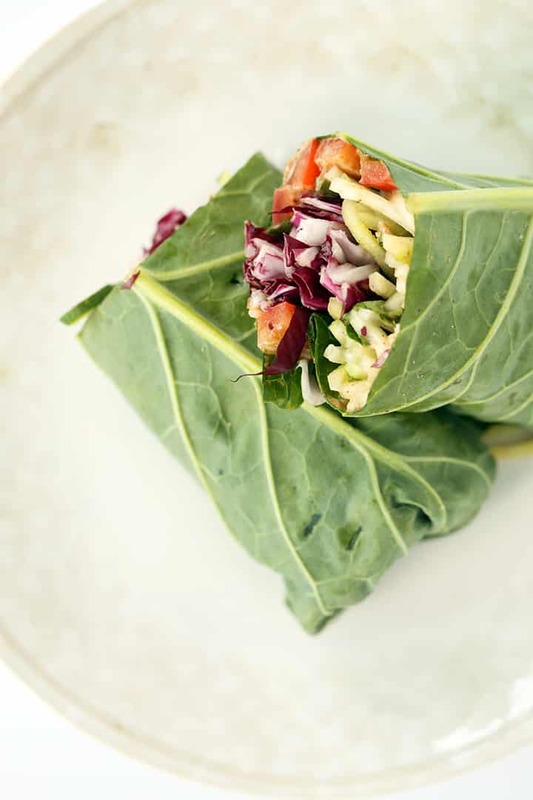 Actually, I posted this YouTube video on how to roll the collard green wraps. This one is vegan, dairy-free and so crunchy and delicious. The almond sauce is perfectly balanced with tanginess, sweetness and savoriness. I had to be careful not to take too many spoonfuls as I was tasting it – I have been known to polish off a tub of almond butter in a day or two. And that’s it! 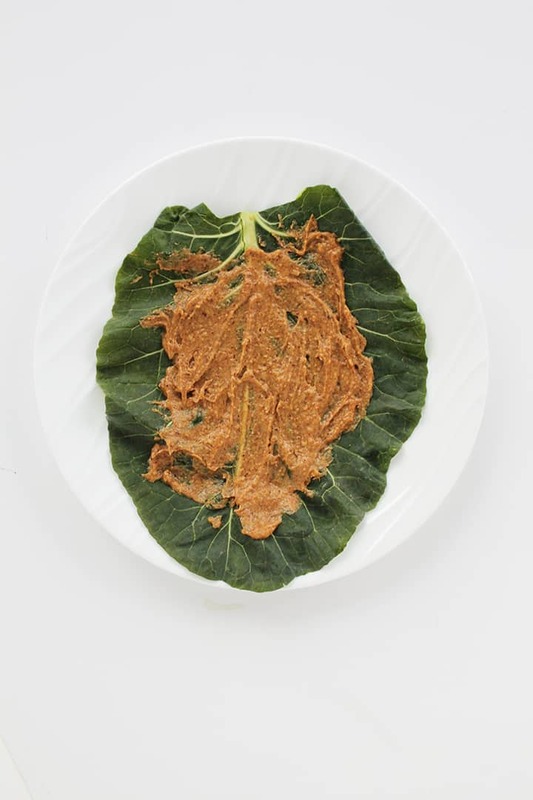 If you’re afraid of the bitterness of the collard green wrap, don’t be – the almond butter sauce overpowers the taste of the raw collard green. 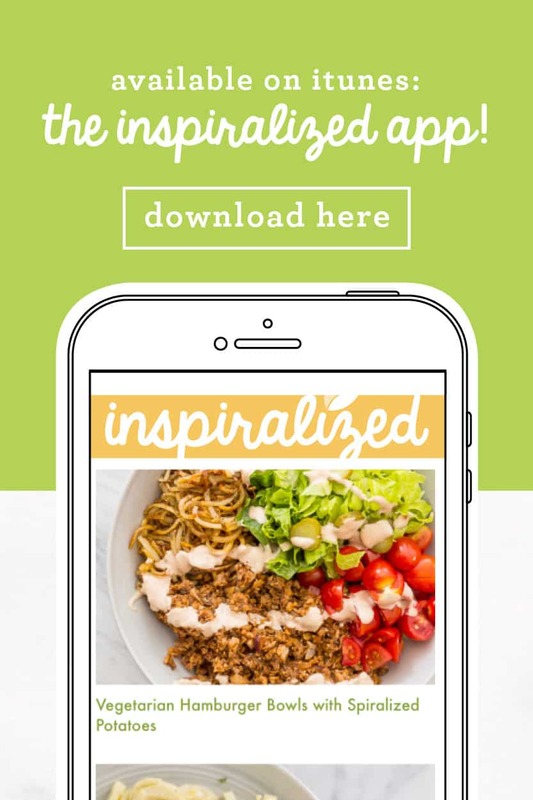 Hope you like the new look… and this wrap! 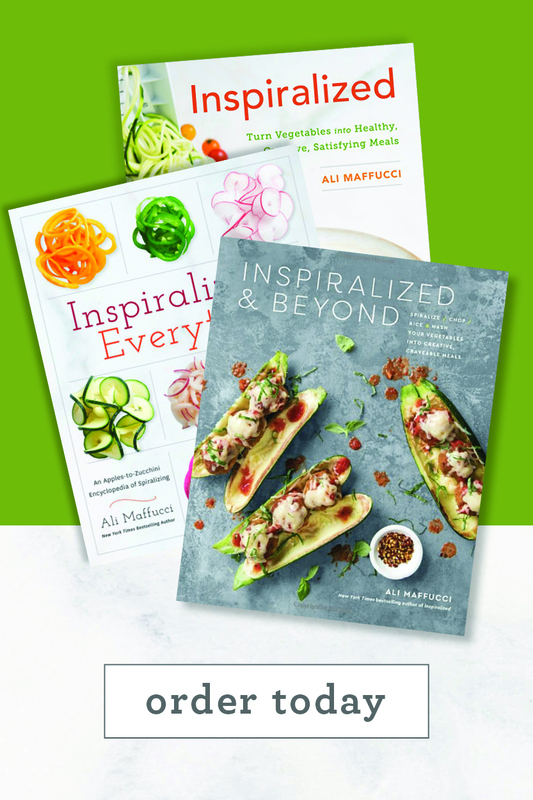 Don’t forget – ALOHA is giving away one lucky Inspiralized reader a 7-day supply of their chocolate and green protein powders! Open to US addresses only, giveaway ends January 21, 2015 at 11:59pm EST. Good luck! 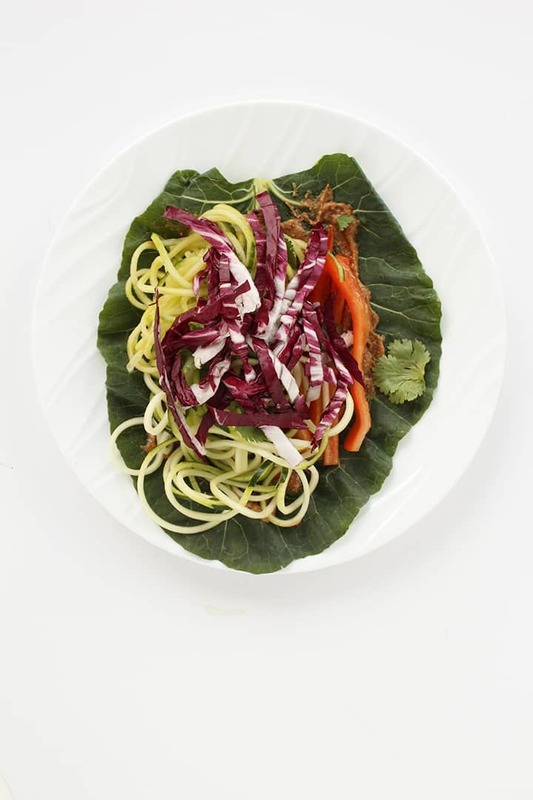 What are your favorite spiralized side dishes? In a food processor, blend all of the ingredients for the peanut sauce until creamy. Set aside. Lay out a collard green leaf. Spread over with a heaping spoonful of the almond butter sauce and spread out, leaving 1" around the corners for rolling. On top, add the zucchini, cucumber, cilantro, bell pepper and cabbage. Carefully roll like a burrito and secure with toothpicks. Repeat with remaining collard green leaves and then slice both in half and serve with any remaining peanut sauce for dipping. Yum! I'm a huge fan of collard wraps. This will be a nice change up from using hummus as my 'sauce'! I really like keeping sides light & full of of many nutrients as possible. I grew up on my grandparent's farm & during those times it wasn't like many farms you see today. Everything was heavy meat & potatoe dishes. It was their way of sufficing for long work days full of hard labor. And it was more affordable. Now with the information we have about what our bodies need, i like to keep the idea of keeping it simple that i learned growing up but with as much nutrients as possible & without filling yourself to where you cant breathe. I am still learning with the spiralizer but a simple side like the potatoe noodle dish from a couple days ago is perfect. Not too much but just enough to keep the body humming. One more thing, i VOW one day soon to credit being inspiralized as one of my biggest aids in losing the extra unnecessary weight. 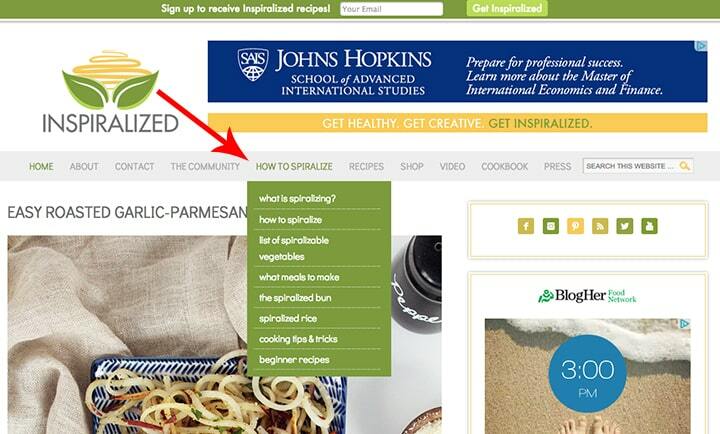 It should have happened already but it is definitely not the spiralizer's fault. It's my own lack of motivation (amongst other things) that is holding me back. 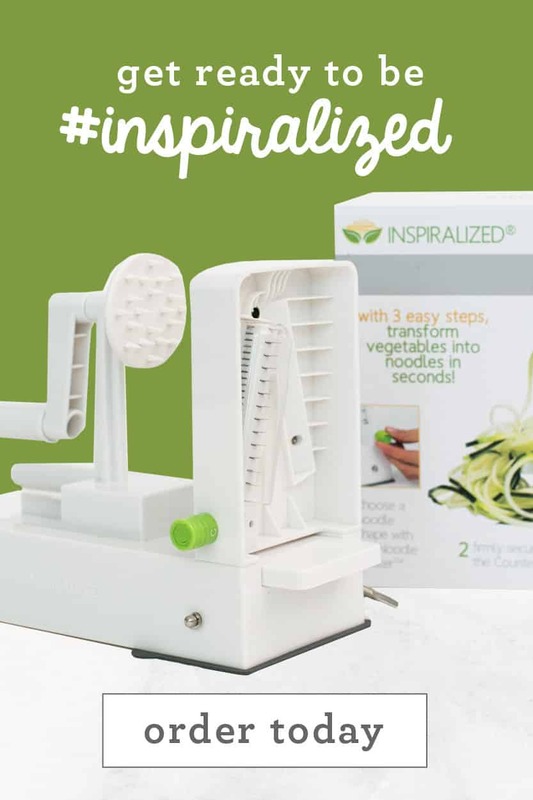 But I have been given so many wonderful tools at my fingertips such as the spiralizer & this website that I WILL begin to hold myself accountible from now on for using them sparingly & not as much as i should. 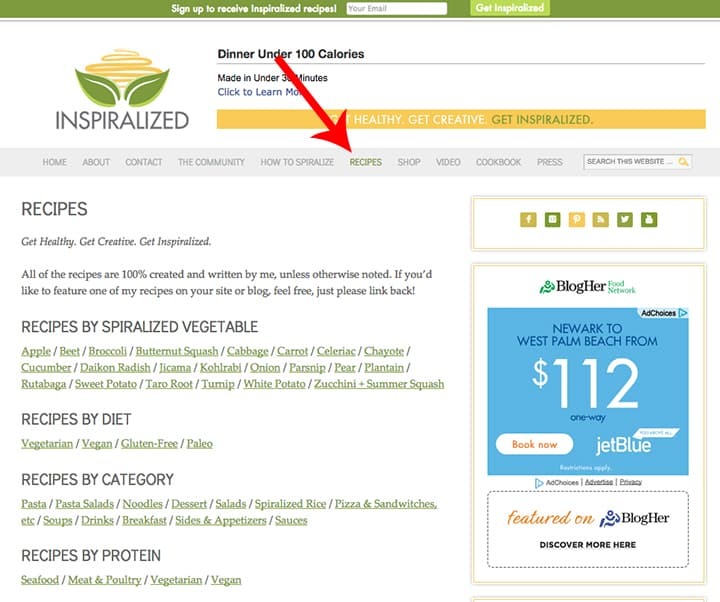 How could you not lose weight w/using these recipes religiously!?!? If i could just get past myself, i could begin to move forward. To keep learning and growing with my body! To listen to it! 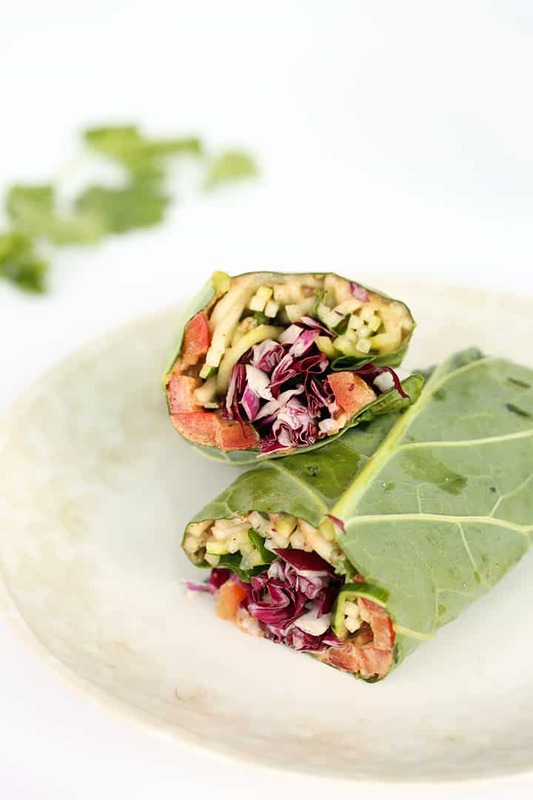 What healthy and delicious wraps! I love the idea of using collard greens here.. 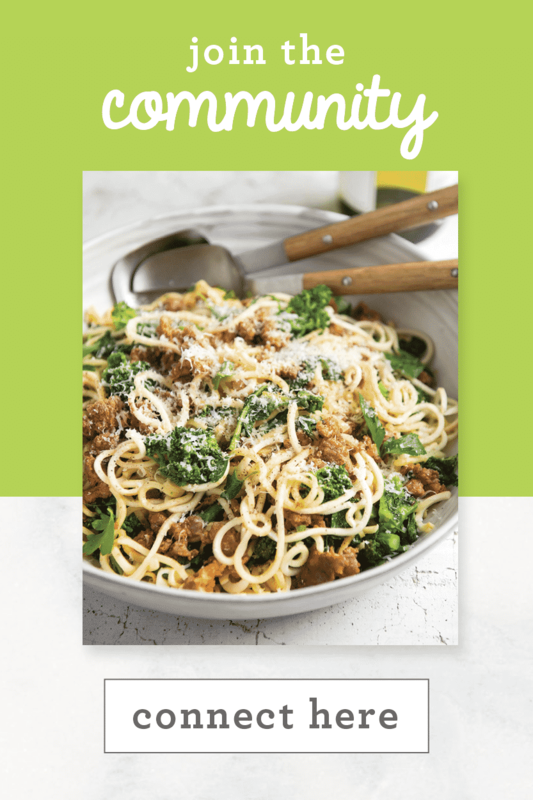 I definitely have to try out the recipe, looks perfect for a light lunch or dinner. I'm planning to make these tonight after months of following your instagram account and seeing how great they look! I was wondering.. if I make 5 of these in advance, how many days do you think they would last in the fridge? 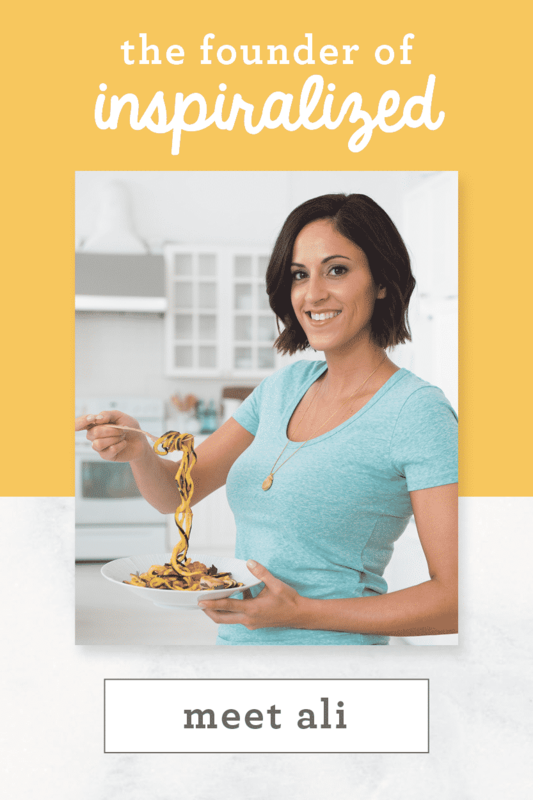 I don't always have time in the evenings to spiralize for lunch the next day, and was wondering if I could make them a few days in advance and just keep the rolled up wraps complete with almond sauce in the fridge. 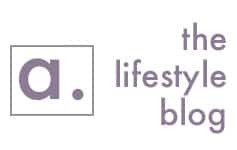 Thanks again for your incredible website! Your journey has been so inspiring, and has definitely changed my life too! Thanks for the kind words! These would definitely last in the fridge for a week - although the collard green would probably soften and the sauce would make it soggy after about 2 days. My recommendation would be to wrap them very tightly in tin foil or paper to keep them fresh! Thanks a ton! Can't wait to get started. Never had a collard green in my life! Picked some up this weekend at the farmers market and used cashew cheese some turkey and veggies, DELICIOUS!!!! 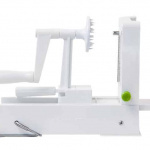 This has opened a whole new world! thank you!!!! I can't have the honey. I can't have any kind of sugar type substance unless it is a substitute. Any suggestions on what I can use in place of the honey or can I just leave it out? Yes, you can try it without the honey! Just use your favorite dressing.